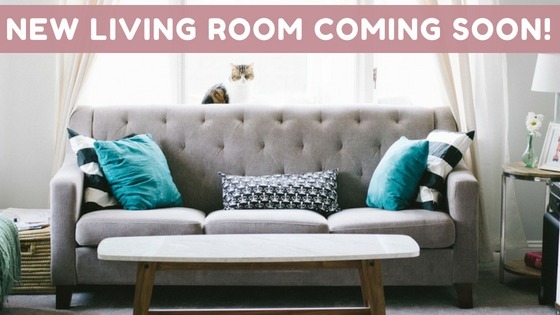 When I moved into my one bedroom apartment, I promised that my dream home would be done by now...and of course, it's not (and I'm sure you're not too surprised if you've followed my blog for a couple of years). 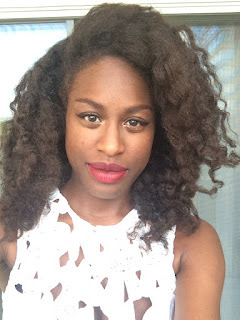 But now, for real, it's happening! There has been a lot of moving parts. Selling furniture, giving clothes away, getting rid of that Tide stain on my carpet courtesy of the bottle having a hole in it, so it hasn't been easy getting all of the pieces together in the right order. I also took extra time finding furnishings that could fit into a smaller space than I currently have because I plan to move again when my lease is up. Then, there's just general life stuff like work, helping my mom move, and other things that have just pushed this off. But, I am finally ready. Thankfully, I've been thinking about this so long that I know how I want it to look. My design style is romantic and soft mid-century modern with notes of pink and gold. Check out some of the pieces that will make my dream home come true. West Elm Eddy Reversible Sectional - I've been back and forth with getting this sofa, and I've finally come to terms that it will best for my current apartment, and any other apartment that I decide to make my home. 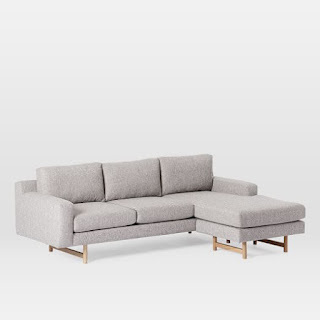 It's smaller, which is great for small-sized city dwellings, and it comes in a variety of colors (though, to save some money, I will probably get the base model). 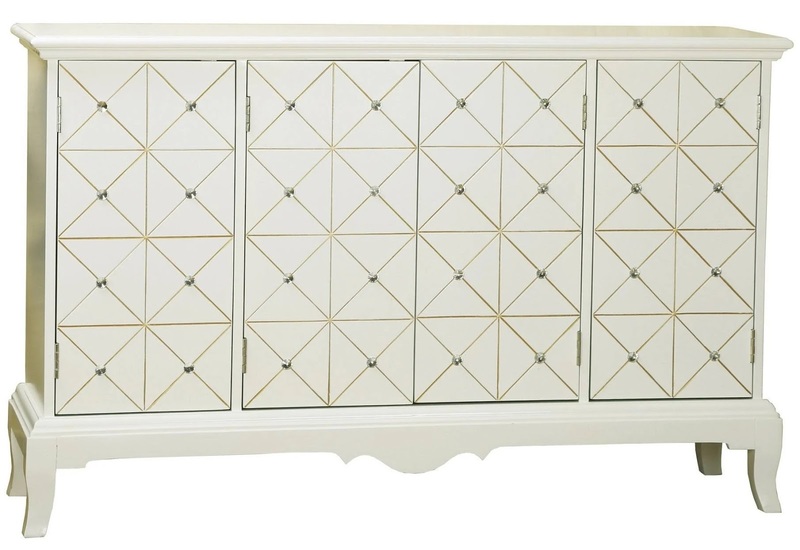 White and Gold Credenza with Rhinestone Accents - If there's one thing that has caused me to hold off on decorating my apartment, it's been what will be my TV stand. I wanted something that was pretty, the base didn't sit on the floor (like my current TV stand, which is really an IKEA bookcase), and has storage space to hold my books and purses. 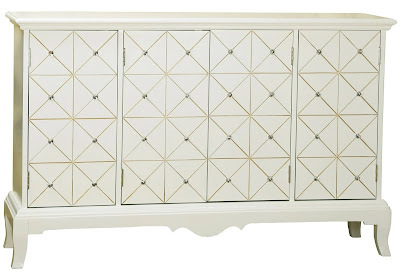 This beautiful credenza checked off each box. 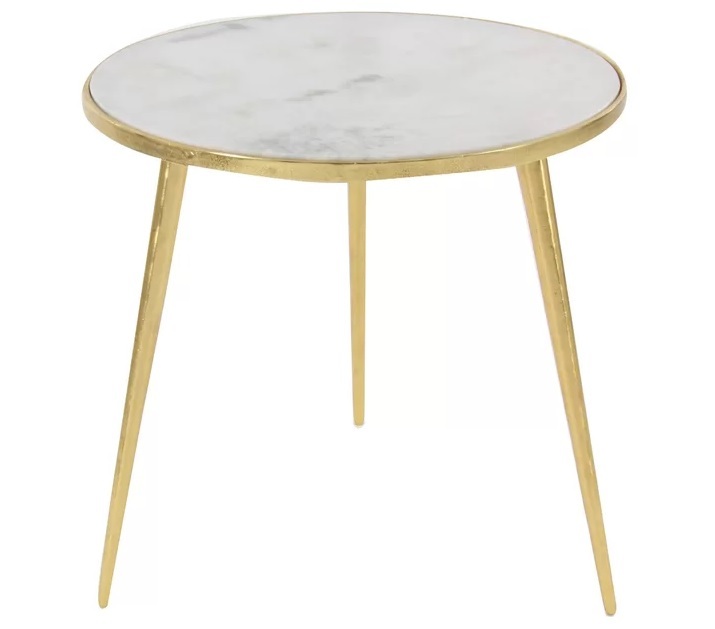 Marble End Table - A small table like this will make a perfect coffee table. 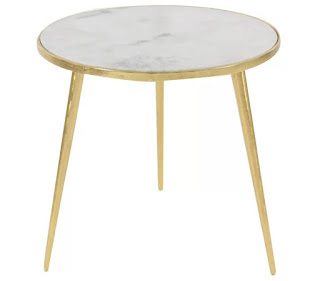 Plus, I love gold and marble, and it fits with the overall decor. 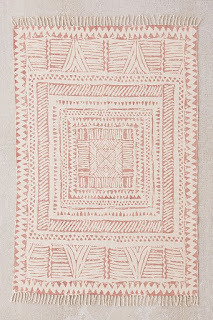 Urban Outfitters Ari Block Printed Rug - I've been obsessed with Urban Outfitters lately. 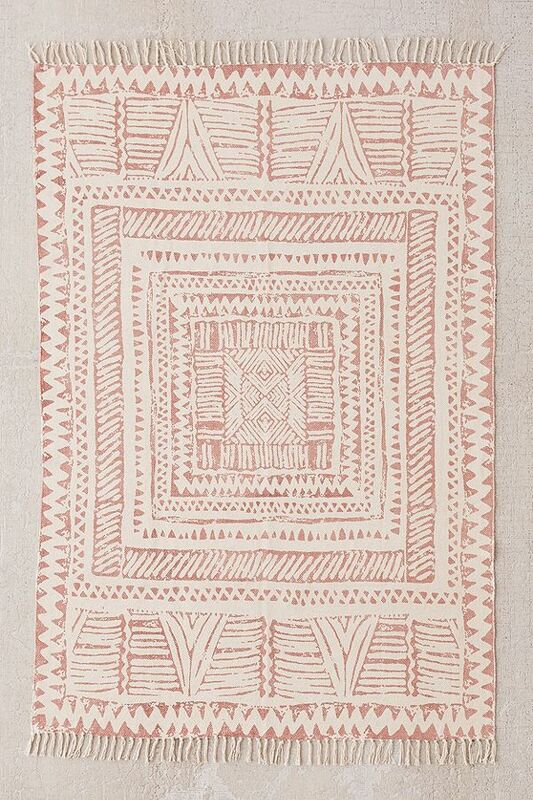 I absolutely love this rug, and the pink will help marry will the living and dining room spaces perfectly. 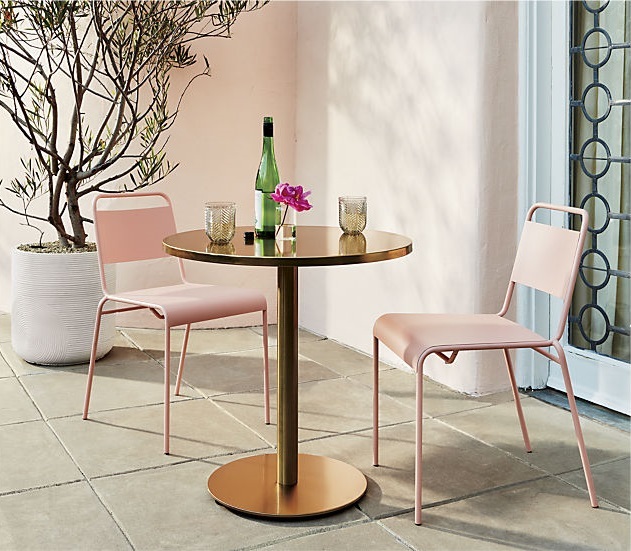 CB2 Watermark Brass Bistro Table - Is this not the most perfect little table?! I don't really entertain, so I don't need a large dining room table. Just something that will entertain a party of one. 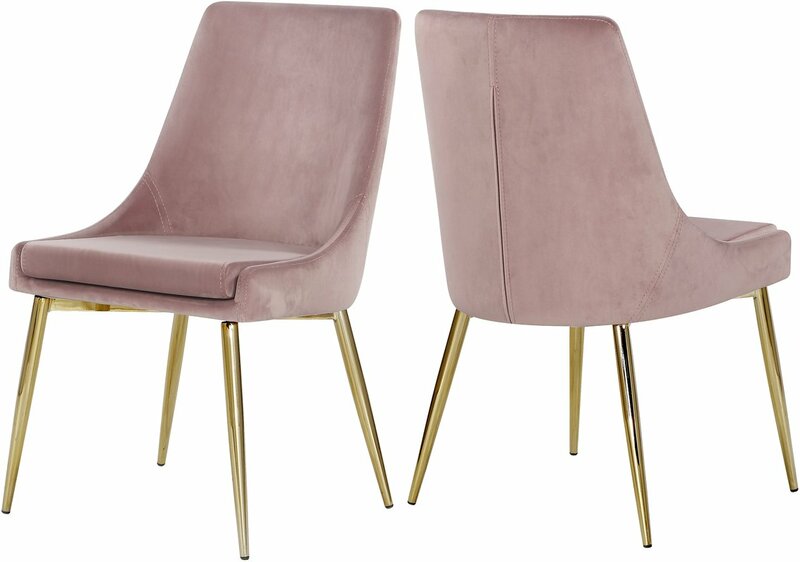 Paluch Upholstered Dining Chair - And every dining room table needs some chairs. 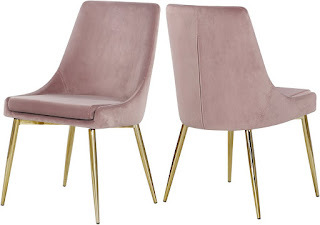 These dining room chairs will make my dining room table feel more luxurious than it already is. There's still a lot I will have to do, like in bring in artwork, strategically place some mirrors to make the space look bigger, and make my sofa a fluffy pink dream with pillows and a throw. I'll add that after I get the big pieces set up, but check back after August 11 to see the before and after!